A common exit path for Israeli tech start-ups is acquisition by and integration with a multinational. But a new Israeli start-up, called Atrinet, is marching to the beat of a different drummer — spinning itself off from the local branch of Nokia Solutions and Networks (NSN) to become an independent company. 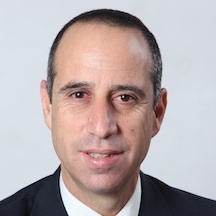 The new Israeli firm will continue with the Carrier Ethernet Transport (CET) service lines that it had been working on for its ex-mother company — with NSN, which recently went through some downsizing, Atrinet’s first customer. This is actually the third incarnation for what is now known as Atrinet. The company started out in 2000 as a spinoff from network equipment company 3Com, which had decided to move away from some areas of the networking business. Atrinet specialized in developing technology for fast (gigabit) ethernet MAN (metropolitan area network) topologies. In 2007, the newly-formed NSN acquired Atrica — NSN’s first acquisition — which by this time was able to supply a large number of products and technologies for networks. Under NSN’s guidance, the Israeli R&D team was assigned to work on SDN and NFV, which allows administrators to control network traffic using software, overriding the hardware when needed to keep network traffic moving smoothly. Over the past few years, NSN has shed thousands of workers as it attempted to cut overhead, and the company’s Israeli R&D facility was an unfortunate victim of those cuts. Atrinet, with 25 employees, is all that is left of an R&D center than once employed nearly 500. But the technology developed by the NSN’s Israeli staff was just too good to put on the shelf, said Atrinet CEO Efi Levy — and NSN realizes this. “This actually works out for everyone,” he said. “NSN can continue reducing costs and improving its balance sheet, and we get to continue producing technology that will help NSN and, hopefully, other customers.” Together with co-founders Ohad Kamer and Meir Ben-Moshe, Levy executed a management acquisition of Atrinet, getting venture capital money to buy the company’s “independence” from NSN. Atrinet will continue to supply development and technical support for NSN’s CET customers around the world. Atrinet has also developed technology for Software-Defined Networks (SDN) and Network Function Virtualization (NFV), which lets administrators use software to direct network traffic, overriding the hardware configuration when necessary. As cloud computing has become more important, virtual network functionality has increased in importance, and Levy believes that Atrinet can become a leading company in this area. Another product Atrinet will continue developing is its Aspen technology Ethernet network management system.